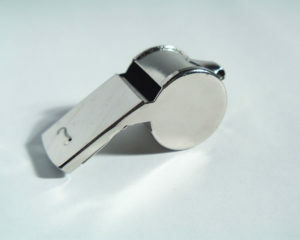 The Assembly recently passed legislation that would prohibit public agencies from incorporating confidentiality provisions into settlement agreements with a whistleblower. Assembly Bill No. 4243 also provides that such settlements constitute public records. Assemblyman John McKeon introduced the bill in response to a settlement agreement in which the state agreed to pay $1.5 million to resolve whistleblower claims brought by a former assistant county prosecutor. Bennett Barlyn alleged he was fired after complaining that Gov. Chris Christie’s administration intervened to secure the dismissal of an indictment against a Christie supporter. The proposed bill specifically provides that public entities and public employees may not enter into any agreement to settle a claim or action to which the public entity, or a public employee in his capacity as a public employee, is a party where the public employee asserts the protections of the Conscientious Employee Protection Act if: the agreement provides that the terms or conditions of the settlement are confidential; or the purpose or effect of such agreement is to conceal information relating to any claim or action concerning the public interest. The legislation would, however, allow a confidential settlement agreement if the matter involves a matter of national security. Under Assembly Bill No. 4243, such settlement agreements would constitute public records under New Jersey’s Open Public Records Act. In addition, the legislation was amended in committee so that any other agreement to settle a claim or action where a public entity is a party would be considered a public record under OPRA, except for matters involving national security. As amended, the legislation also calls for the Attorney General to make whistleblower settlement agreements publicly available online. The bill would specifically require that a list of the settlement agreements be in a searchable format in a prominent location on the department’s website. The information would include: (1) the date the parties entered into the agreement; (2) the names of the parties; (3) a description of the claims; (4) the total amount each party is obligated to pay; and (5) the total amount of compensation for any outside legal counsel. If approved, the law would take effect within 90 days of enactment. Companion legislation has not yet been introduced in the state Senate. We will continue to track the status of the bill and provide updates as they become available.